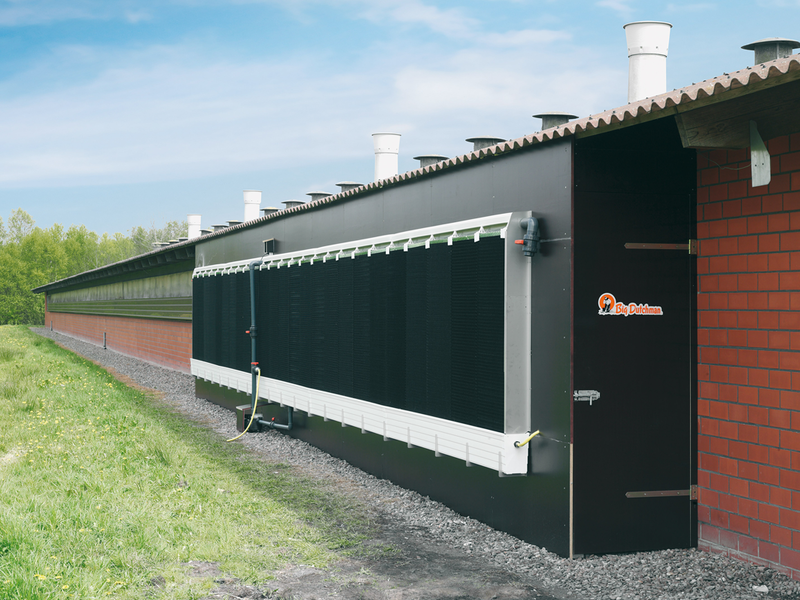 RainMaker is a pad cooling system, developed by Big Dutchman, which features an innovative frame system. 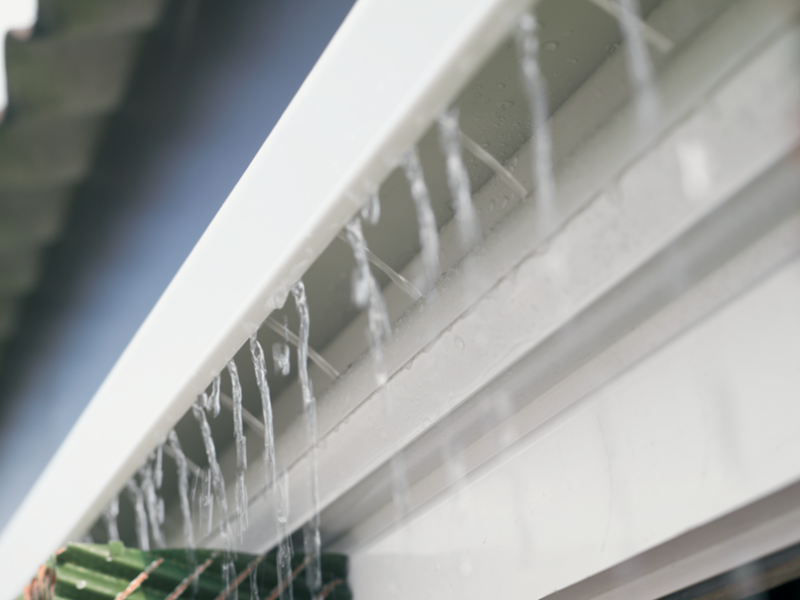 RainMaker is characterized by its minimum installation requirements and is designed for simple supervision and maintenance. 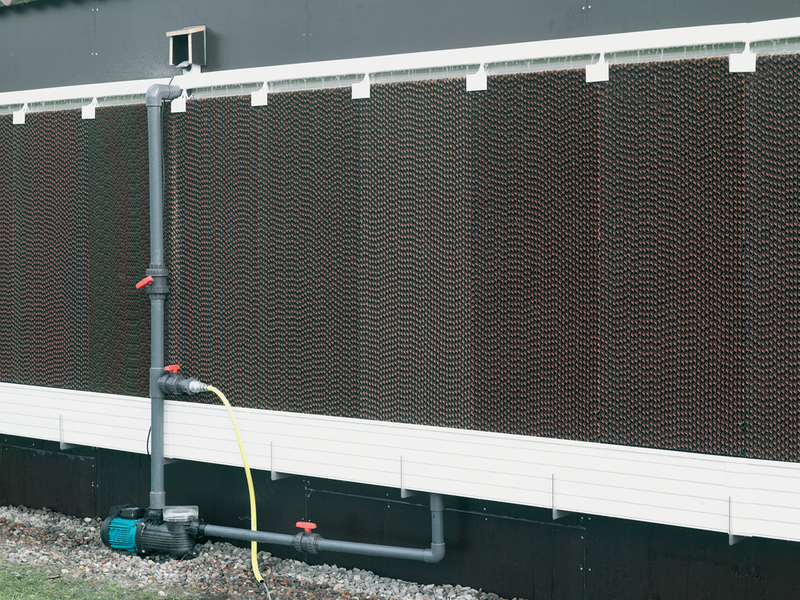 The cooling system works on the basis of evaporation and is best used in climate regions with hot, dry summers. The higher the temperatures and the lower the relative humidity, the higher the resulting cooling effect. The pads that are used consist of a special cellulose material with a large specific surface to ensure a high cooling performance. A chemical impregnation protects the pads from atmospheric influence. 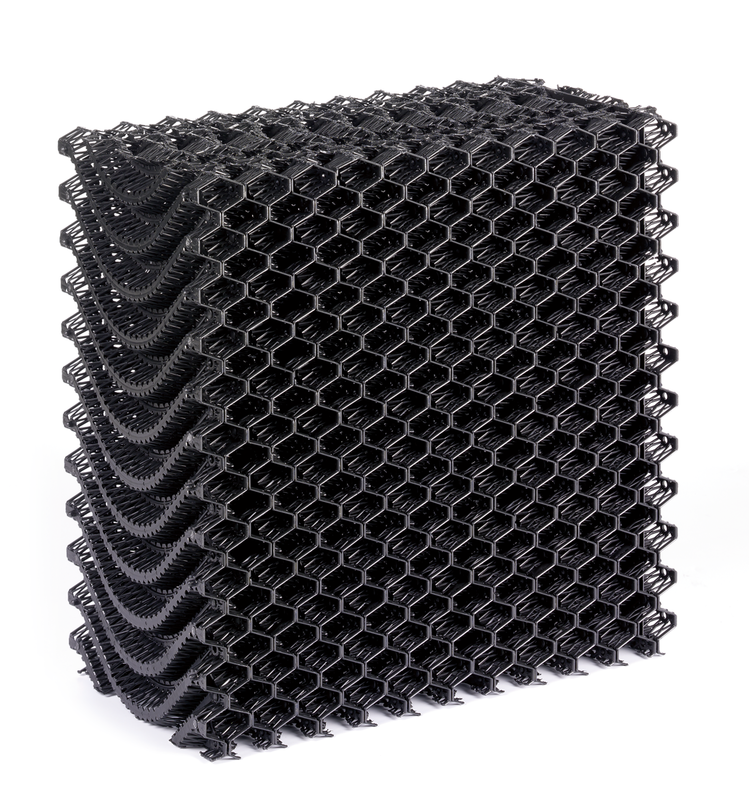 Alternatively, we also offer plastic pads which offer a longer service life.